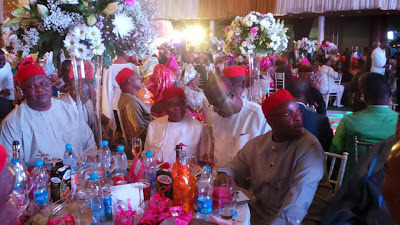 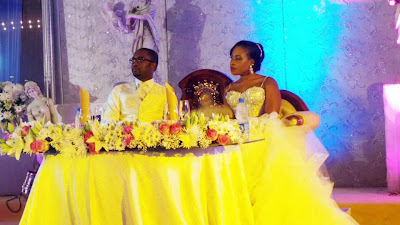 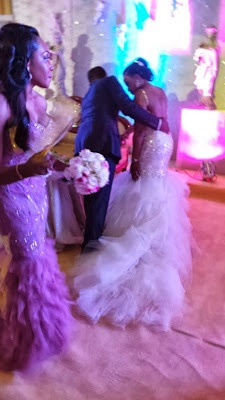 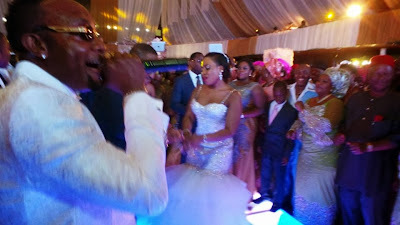 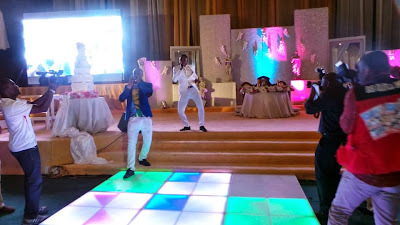 Last weekend, Nonyelum Oby, the daughter of PDP Chieftain Chris Ubah got married to her long-time partner Anyim Ude Jr in Abuja. 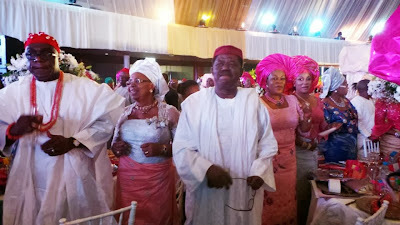 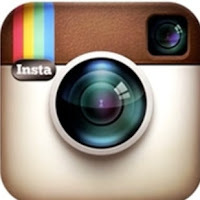 The event that took place at the Conference center was graced by top politicians and celebrities. 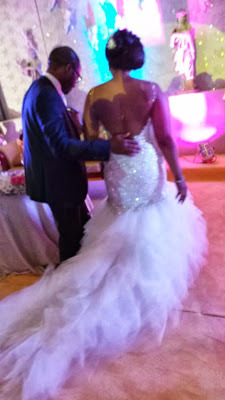 The beautiful bribe adorn herself in a mermaid-style wedding dress and drop diamond earring. 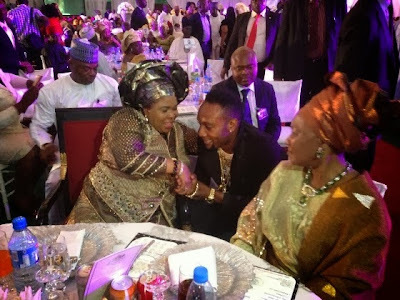 First Lady of the Federal Republic of Nigeria, Dr Dame Patience Jonathan and singer KCee were also spotted exchanging greetings at event. 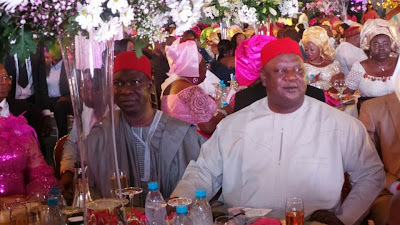 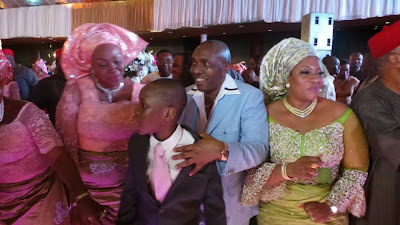 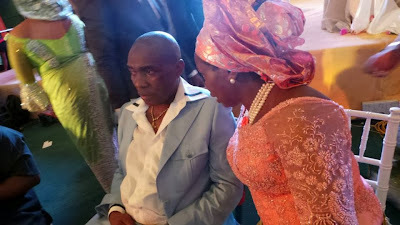 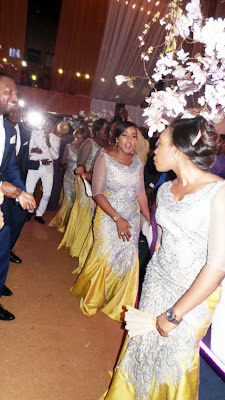 Haba na wa for this people mrs Jonathan wasn’t at this wedding na,how did they attach her picture to this occasion.